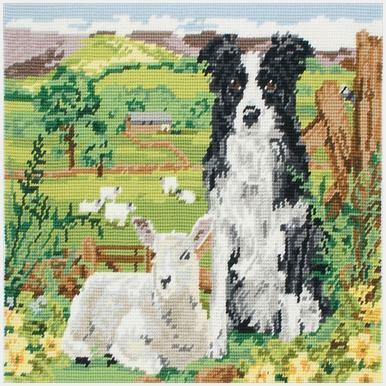 MR7004 Border Collie And Lamb - £47.99 : WoolBasket.co.uk, Wool Basket Online. All you need for Knitting, Wool, Yarn and Haberdashery supplies. 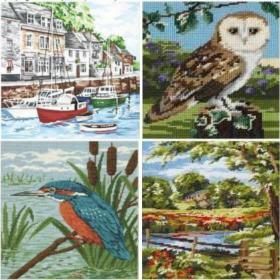 This kit contains: Full colour printed 10 count double thread canvas, all the Anchor Tapisserie Wool you'll need, full instructions and a needle. Everything you need to be able to complete this beautiful project.